Fixed some more typos with some general statements in the game world. Fixed a bug with the mob death counter. Fixed a bug with the exp counter getting reset. Fixed a typo with the Discord Integration system. 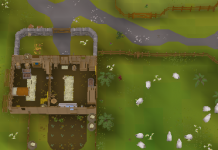 Fixed a bug with the Seers roof top agility area. Fixed a bug with Flowers. Fixed a bug with Firemaking. Fixed a bug with the command parser. Fixed a bug with Hunter trappables. Fixed a bug with certain mini games not properly freeing client memory. Fixed a couple of bug with the punishment system. Fixed a pretty bad bug with the command system. Fixed a bug with some of the client sided mini games. Fixed a bug with the client on boot initially ghosting keys. Fixed a bug with the key buffer. Fixed a couple of bugs with how items can be transferred. 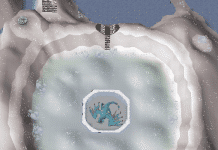 Fixed a duplicate Green Dragon task. Fixed a bug with being able to smuggle into the SDZ area. Fixed a bug with Ancient Warlocks spawning outside of the wilderness and EDZ. 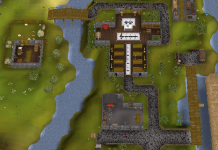 Fixed a bug with the clan chat not properly displaying the clan members on the world map. Fixed a couple of bugs with un-noting items at banks for UIM. Fixed a bug with destroying items destroying 2 copies of that item. Fixed a bug with the Ironman stores limiting your purchase amount to what the store stock was. Fixed a bug with buying from the stores over the stock amount and it would sometimes charge you extra. Fixed a bug with Corrupt Sorceress. Fixed a bug while auto-casting the god spells. Fixed a typo with the Medium clue scrolls on the highscores. Fixed being able to stake over 500m item amount. When you plant Mithril seeds, you will now have the option to pickup the flowers. Full Mummy has been buffed to give the same damage modifier as Infernal but for Magic. Added a message for when you equip full Mummy. Heavily increased the accuracy of Magic attacks while wearing full Mummy. Added the command ;;question or ;;q to repeat the trivia question. Revamped the security alert system for brute force attempts. Half of FunPK is now multi combat. Blocked skilling at jail, you’ll also no longer receive EXP while in jail. Slightly changed the Discord playing message. Previous articleSuperior + Legendary Bosses!